What is link building and why is it so important? When you’re writing a post about Siamese cats and you link to a resource about how to potty train them, you’re telling the search engines that the resource you’re pointing to is valuable. The same thing happens when you get a link from another website to yours. That other website is giving your site a vote of approval in the eyes of the search engines, which in turn helps boost your ranking in Google. When ranking websites, Google takes a lot of factors into account. The exact composition and weight of all these factors is unknown, since they're part of Google’s “secret sauce”. Still, SEO experts invest a lot of time and effort to find out what these ranking factors might be. After analyzing 1 million Google Search Results, Backlinko asserted that the number of domains linking to a page correlated with rankings more than any other factor (see, I am linking to this resource because it’s valuable for me, so Backlinko gets a vote of approval from me). But backlinks can be earned naturally and/or artificially by websites. Well-known and socially established websites tend to earn their backlinks naturally. 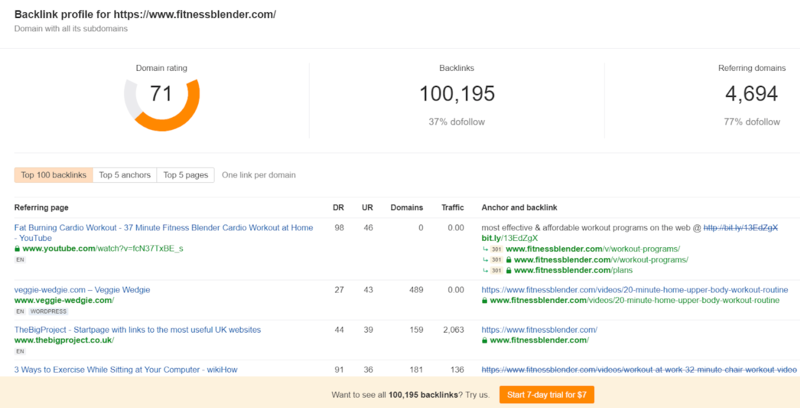 This is what happened when I linked to Backlinko in the previous paragraph; I found their content useful and trustworthy, so I linked to them (gave them a natural backlink). 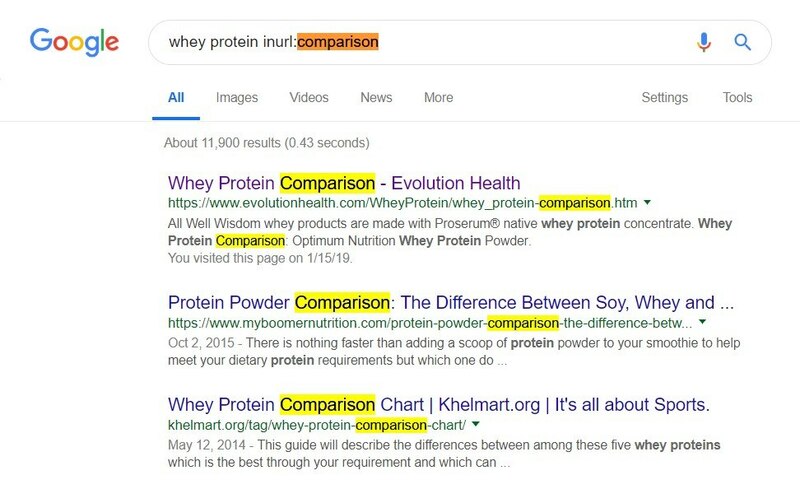 Similarly, Wikipedia gets a ton of backlinks as a trustworthy, widely known source, and that is one of the main reasons it ranks so well in the search engine results pages (or SERPs for short). But, not all websites are as well-established and trusted as Wikipedia or Backlinko. Since natural links don’t come easy for less authoritative sites, they need to earn their links ‘artificially’, and this is where active link-building comes into the picture. Link building is the action of acquiring hyperlinks (or just links for short) from other websites pointing at your own website. This is done by reaching out to website owners in the hope of a collaboration to earn a backlink from them. Guest posting is a direct approach to link building, where you reach out to webmasters to offer guest contributions for their blog. If they accept your offer, you produce a high quality piece of content for them, and in exchange, they allow you to include a link back to your own website. Simply put, that’s how you earn backlinks guest posting for other websites. Wait… Isn’t Guest Posting Dead? Matt Cutts, the former head of the web spam team at Google, expressed his distrust of guest posting solely for SEO purposes. He claimed that SEOs redundantly abused automated means of guest posting to the point where it got too spammy. So take note: spammy guest posting should be avoided. Does it have spammy good-for-nothing articles on it? If your answer is ‘yes’ to any of these questions, pass. But if you recognize it as an authoritative site with decent content and high traffic, go for it. If you do your best to publish quality content, and you partner up with sites sharing similar qualities, you’ll have nothing to worry about. Remember that in an internet overflowing with bad content, quality articles are always sought after. Moreover, some webmasters don’t have their own editorial team, but use platforms like Upwork to get articles written, which costs them time and money. Therefore, a high quality and relevant guest posts will usually be more than welcome. It’s a win-win situation! Link inclusion is an indirect approach to link building, where you look for opportunities to get mentioned in an existing article on a quality website. You can do this by drawing bloggers’ attention to an issue or a missing piece of information on their website, and offer help to fix it. Articles usually become outdated after some time. If you manage to find an outdated piece of content or even a broken link on a website, it’s a good opportunity to reach out and ‘help fix the issue’. Partner sites also benefit from this technique, as you help the webmasters maintain and improve their website. Go ahead and look for ‘mistakes’ on prospective websites in your niche. Don’t worry, this technique isn’t actually about stealing anything. ‘Link stealing’ is another link building technique, where you’re looking for blog posts that have a backlink to a certain article, and then acquire (a.k.a. ‘steal’) that backlink. You can do this by providing a better source of information to bloggers than the one they have originally linked to. Find the best article in your niche with the highest number of backlinks. However, know that this technique only works if you can really provide additional value over the original article. More/longer: If the original article is a list of 20 items, providing an article with 50 or 100 items might add value. Check out 8 secrets that turn your list post from boring to amazing for inspiration on how to make good list posts. Better organized/designed: Some articles just look ugly and are hard to read. If you notice this in the original piece of content, you have an opportunity to do better. And don’t just copy the content, but also provide some of your own original ideas to make the new post even more awesome. Newer/Up to date: If the original article was based on old data, creating a piece of content around more recent and relevant data adds value. 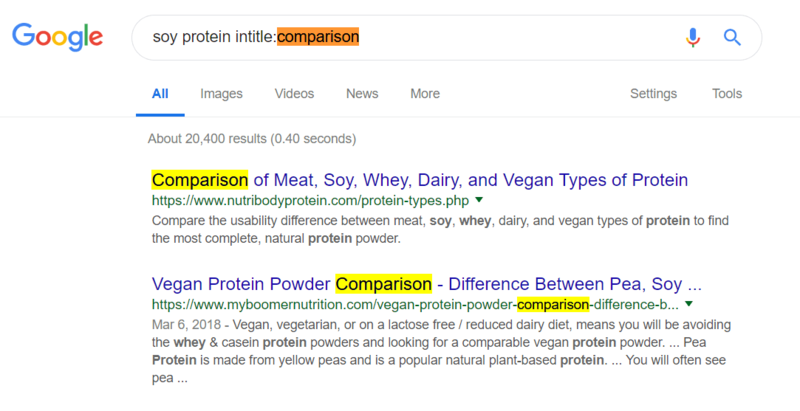 New discovery: If there have been new discoveries about a topic since the original piece was published that’s not referenced, your can make a piece of content that does reference it to become the better backlink pick. The content you create must be a better version of the one you’re trying to replace. And since there were several links pointing to the old post, you have a good chance to steal at least some of them. Moreover, if the original content received a ton of backlinks, chances are that these were natural backlinks. By creating a similar, but better piece of content, you increase your chances in scoring those natural backlinks too! Use Google to find the best and most shared articles in your niche. Insert your main keyword and pick the best one from the first couple of results. You can also use a tool like Buzzsumo to find the most shared articles in your niche. Pop the winner article into Ahrefs site explorer (a free backlink checker), and discover the pages linking to it. Assuming that you chose an article ranked on the first page of Google, there should be a fair amount of backlinks pointing to it. This number depends on your industry, and gives you a good indication of how many backlinks your content needs in order to rank on that first page too. The pages that are linking to the original article are the sites you will reach out to because they provide potential backlink opportunities for you as well! Ahrefs free backlink checker: it shows you all the backlinks to any domain you search for. The internet is full of potential backlink opportunities. So, how do you find them? Check out some of these easy searches you can do to help yourself find blogs within your niche — without having to pay for pricey marketing tools. If you put the “inurl:[word]” modifier in your search, Google will search for sites where that [word] is in the URL. By doing this, you can easily find specific types of articles. This Google search modifier lists pages that have a specified word in the title tag. Sometimes the words we looked at in the previous inurl: section, are not actually present in the URL. That’s when this modifier comes in handy. In this search result you can see that only the title tag contains ‘review’, but the URL doesn’t. The "keyword" search modifier will show you pages where an exact keyword is mentioned on the page. After conducting these searches, you’ll end up with a ton of URLs which carry potential backlink opportunities. In order to facilitate your outreach, you’ll also want to capture them in a structured way. The easiest way to do this is on a spreadsheet. Are These Prospects Worth Your Time? Quality over quantity — an old saying, but couldn’t be more relevant when it comes to link building. Backlinks from authoritative, relevant and trustworthy websites are what you want. It’s crucial to filter out low quality sites, because backlinks from these can be harmful. So how do you determine whether or not a website is a good fit for you to pursue a backlink from? Question 1: Is the site relevant? None of the indicators we’ll cover in Questions 2 and 3 will matter if the page you’re targeting to get a backlink from is not relevant to your niche. 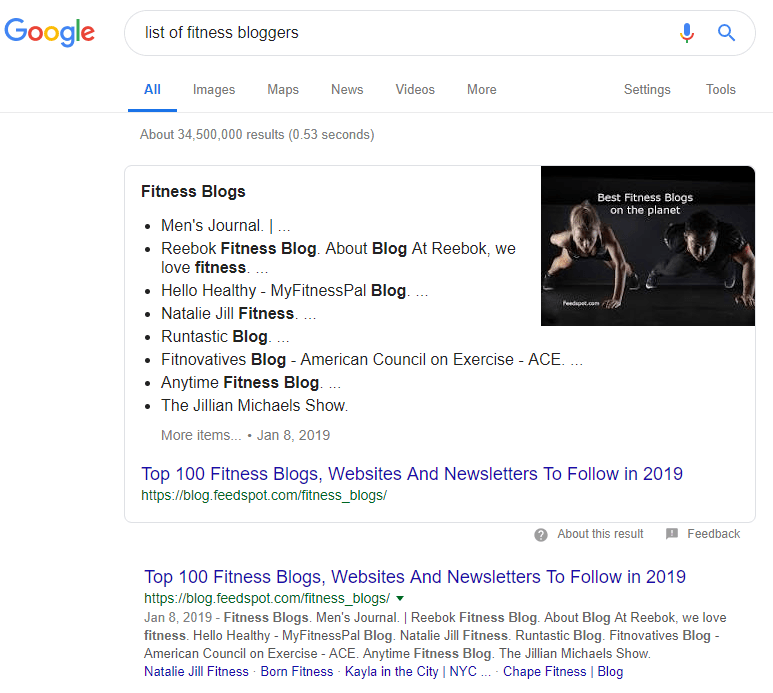 For example, if you run a website about new fitness trends, you’d welcome a backlink from sport, fitness, or diet related websites, but getting a backlink from, say, a construction-related blog might be more likely to harm you. To help you increase your list of viable backlink sites, approach your niche from new angles. Question 2: Have they already accepted guest contributions? When assessing a potential partner website for guest blogging, check for other guest contributions, or even guidelines about guest contributions. Sites that already have guest posts are more likely to accept yours. A nifty Google search trick you can use to look for specific content within a single website is the command “site:URL”. So by typing “Site:exampleurl.com guest contribution” in the search box, you’ll quickly find out whether or not there’s any text about guest contributions on a particular website. Question 3: What’s their DA/PA? DA is a metric Moz created to predict how well websites rank in the search engine page results (SERPs), on a 1-100 scale. The higher the DA, the better the chance a site has to rank well in the SERPs. This metric reflects the authority of the website as a whole. This metric predicts how well an individual page ranks in the SERPs, on a 1-100 scale. The higher the PA, the better chance the page has to rank well in the SERPs. PA is useful when you’re assessing an individual page — for example when you’re doing link inclusion or link stealing. You can check what these two metrics are for sites and pages by installing the free MOZbar extension to your Chrome browser. Then you can simply click on the Mozbar icon and check these metrics whenever you visit a website. The MozBar appears on the top of the page, and shows the PA & DA. A bunch of free tools on the web enable you to check bulk DA’s and PA’s, such as this one or this one. Go back to your list of the potential backlink opportunities, and copy/paste the URLs into one of these tools. Export the data into a sheet and sort the URLs based on DAs. The higher the DA, the better. You can ditch blogs where the DA is lower than it is on your own site, or anything below 30ish (as a rule of thumb). However, if you think a site has the potential to grow, it’s smart to get the backlink from it now and then reap the rewards from that investment later. After this, collect the best contact email addresses possible from the sites you’re looking to establish a collaboration with. You can use Hunter.io, which will find you up to 100 connections/month for free, or any other tools recommended from this Ahrefs blog post. After you complete your research phase and find some trustworthy sites with backlink potential, it’s time to reach out to their webmasters to inform them about your intention to collaborate. When you reach out to a website blogger for a backlink, ensure that the collaboration will bring value to them as well. This value can be exposure on your social accounts, or even a referral link. It’s a common approach, to offer a backlink for a backlink. Let’s say, you own website A and B, and you reach out to a blogger who runs website C, in the hope of getting a backlink from C to A. Inform them in your outreach email that you are working on a post on website B, so they can get a reference from there, if they are interested. Note: link building requires an investment of your effort and time, but buying backlinks is against Google’s guidelines, and may result in penalties. I am [introduce yourself]. I came across your post on [post title + link], and I really liked [highlight something specific]. I was wondering if you’d be interested in a marketing collaboration with me. I’d like to submit a well-researched post about [a relatable topic], as a guest contribution on your blog. You would benefit from it, as [reason why it’s a win for them]. Of course, if you are looking for something else, I am open to other ideas about how I can help you. If you own another website (website B), you can also try the backlink for a backlink approach: In exchange for you time, I’d be thrilled to reference your website in a post I am currently working on for [website B]. I’d love to hear your thoughts on this potential collaboration. Either way, keep up the good work! If you don’t get a reply immediately, don’t worry — send them one or two follow-up emails over the next few days. However, do not keep bugging the poor blogger forever! I hope you are well. I’m just reaching out one last time to see if you had a chance to consider my guest post offer. In case this isn’t the right time for you, you’re always welcome to reach out to me in the future. If they do reply back to you at some point, you can negotiate what type of content they want, and then work out how to make it a win-win opportunity for the both of you. Similar to our previous example, your link inclusion outreach email has to be personal. I am [introduce yourself]. Recently, I’ve been looking for insightful articles about [topic] for [reason you're doing research]. I just read your article [title, url], and I found it super useful! However, I noticed a [broken link / missing info / outdated source] in it. I published this post [title, link] recently, that covers that same information. I believe it would be a valuable addition to your article. Either way, thanks for the amazing post! Again, send follow-up emails once or twice. If you don’t get a reply, say goodbye with a note that you’d still be looking forward to a future collaboration — just like I showed in the previous Guest Post outreach section. After your well designed, comprehensive and detailed backlink magnet is ready, you can start reaching out to those blogs that have links to other articles you want to 'steal'. I am [introduce yourself]. I just came across your post [title+link], and I must say, I really liked [highlight something specific]. I noticed that you used [original article] as a source at [a particular section of the article]. Because of that, I’d like to draw your attention to this article I wrote: [title, link]. This has more in-depth info on [topic] so I think it would be a better fit for your article. Would you consider adding this link to your post instead? I’d love to hear your thoughts on this collaboration. If you don’t get a reply, send a follow up email once or twice, and then move on. More than likely, they will link to your article if it’s truly better than the original one. If you’re ready to start bumping your placement in the Google search engine rankings, these link building strategies are there to help you get some extra backlinks besides the natural ones you’ve already earned. I am not going to lie, link building is a lot of work. But as soon as you get the hang of it, it becomes a natural extension of your website management duties. But now that we’ve covered how to get started, the rest is up to you! What do you think about these link building techniques? Do you have any questions? Leave them in the comments section below for me. Andrea is the SEO and PPC manager of Thrive Themes. Besides diving into data, she is also passionate about sports and healthy living. When she’s away from her computer, she’s probably at a local CrossFit gym or yoga studio, lifting weights or practicing handstands. Thanks Andrea for this comprehensive guide. Guest blogging still works if you know how to choose sites for guest blogs wisely. A rule of a thumb is to avoid all those semi-automated blogging networks, otherwise, you can get in trouble pretty quickly. Focus more on publishing quality guest posts and attract quality traffic, the rankings will come also then. Keep up the good work. Now its time for me to start guest posting!! Well said, John! :) good luck! How can you find places which link to the same broken link? Loretta, how do you find broken links, using software? Sometimes I feel that this stuff is a waste of time if you produce a lot of content. I have a lot of respect for Brian Dean and Neil Patel but I feel that as long as you already have an audience, you’d be much better served by simply cranking out tons of content instead of spending so much time optimizing things. There’s a small amount of optimization that should be done, but…. it becomes counterproductive. Shane would probably agree with me as he frequently talks about how “done is better than perfect” and releasing a product, even if it’s not perfect, is best. Hi David, thanks for your comment! “Done is better than perfect” – I couldn’t agree more. I think it depends on a lot of factors whether you should deal with link building, e.g. : your niche, your current rankings, or what your competitors are doing. In my opinion, it’s advisable to build links, when, say, you’re stuck on page 2, or you’d like to make specific pages rank higher for certain terms, and you’ve done with on-site optimization. Hi Peter, yes indeed, link building is important and can boost rankings. Response rates might not be the highest, but it’s possible to improve it by thorough prospecting and personalized outreaches. Awesome read. Very well written. Solid pointers for sure. Love the reach out email templates. :) Thanks Andrea! Thanks for the article. I’m in the process of building a new website and want to get off on the right foot with SEO. I hope to have it up and running in a week or two. Wow! Thrive Themes never cease to amaze me. 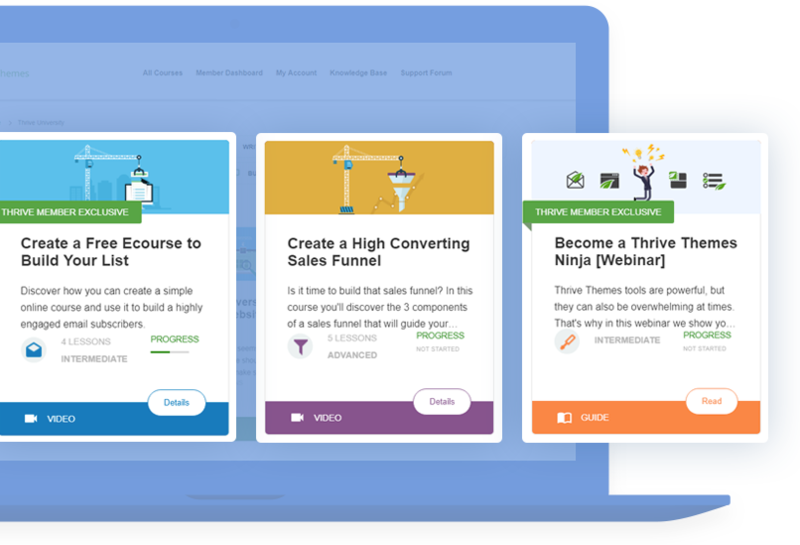 Not only do you provide great WP tools, but also magnificent information and tutorials full of value. Thank you so much for all the insights you provide, Andrea. I will make sure to check out all the tools and links included in the article. This is a lot of work, as you mention. And since you already worked at an SEO agency, I was wondering if, in addition to the tools you provide, you could also provide us with agency recommendations for a to z SEO services to do all the heavy lifting without breaking the bank. Hi Luis, this is great to hear! But generally, try to find someone, who has some SEO experience in your niche – that will save some time. Perhaps ask your entrepreneurial friends if they have any good experience with an agency? Really great article Andrea! You’ve covered so many good points on link building. In your opinion, how important would you say link building is to a website’s SEO? If you had to give a percentage, what would it be and why? Hi Vincent, I am glad you liked it! Again, I have to say, it depends…:) Need to see how well-optimized and established the website is, and what the competitors are doing. I like the way the template is written, highlighting potential points that can make the outreach receive a positive feedback. It’s a well thought out post and link building has lots of favourable strategies but personally I favor guest post more. Thanks for a wonderful post and it’s one of the best of its kind. Nothing new but still a good read for me. Specifically this part – Are These Prospects Worth Your Time? We often collect the prospect and send the emails without checking if I get any benefit from this website or not. And templates would come handy for me. Really appreciate for this, Andrea. Thanks a lot. Yeah, I think it’s better to filter those prospects out right at the start. That will save some time and energy for you. Why can’t Site A link to Site C and Site C link to Site A? Why do you need a Site B? Great post!!! Valuable till the last drop! Congrats! Excessive “A-C” linking will result in an unnatural backlink profile. It’s a red flag for Google. Just was I was looking for – for my vas- the templates! Thanks! Beginners’ question :) If you write a guest post, how can you make sure they don’t publish your article without giving a backlink/true reference info? Or if I do the research you recommend that is very unlikely to happen? It’s a valid question! I think you just need to take the risk in some cases. It happened to me a couple of times in the past… However, people usually kept what we agreed on in our emails. This is such a Helpful and beautiful post. I couldn’t help but ask how you designed your sheet so beautifully? Did you use google sheets or excel? Or better still, is it possible we get it as a template? Thanks once again for the well-written post. It was just a quick example in Google Sheets, I usually just copy and paste data in there in the right column. It seems like common sense, but I actually never would’ve thought about “Link Inclusion”. Have you had much success using that method personally? Link inclusion was one of my favorites :) It doesn’t cost as much as guest posting, and it’s a fairly low effort technique. One of our clients was in the wedding/fashion industry. It was easy to find link opportunities for them as fashion changes so quickly! We always found tons of ‘outdated’ articles from past seasons… We reached out to them, introduced our clients’ newest collections/designs, and some bloggers were thrilled to show it to their readers. and I love the idea of not having ads cluttering up my site. You have mentioned many useful tactics which really helpful for many webmasters. I personally believe in link building and guest post to improve the rank.